Our web sites are all hosted on world-renown cloud web servers. From a small single domain site to a large multi-page e-commerce giant, we have your web hosting technology needs covered! 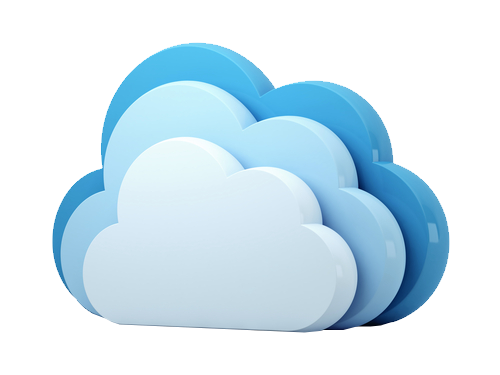 Our cloud servers offer reliable, scalable, supported web hosting for our clients with an average uptime of 99.9%. This means your web site(s) and email are available when you need them! Please view our Acceptable Use Policy for our hosting services. Note: You must agree to this policy before hosting with us. We don’t have long forms to fill out like other companies, just send us an email to contact us and we will get back with you personally! Okay, so you want your web site hosted with us. Awesome! First you will need a domain name (yourdomainname.com). We sell those! Click below to get started. Okay, before you pull out any more hair (if you have any), give us a shout! We’re always glad to help you. Which web hosting plan is right for our business? It really depends upon how many domains/sites you plan on having or currently have. Our plans are based upon quantity of domain/sites instead of disk space. Besides offering the most reliable and scalable Cincinnati web hosting service around, we also offer business-class email and hosting support. Can you help me get my hosting account set up and working? Sure we can! Not only can we upload your files for you, but we can also setup any email accounts that you need and test to make sure everything is working properly as it should. We already provide you detailed instructions for accessing your site files via FTP (File Transfer Protocol) using such programs as Filezilla, CoffeeCup or SmartFTP and accessing your email via webmail, Outlook or other client software. Do you offer Microsoft Exchange service in the cloud? Yes of course we do! Are you still managing your exchange server? Say yes to exchange and no to the cost and headaches of managing it on your own. With a 100% uptime guarantee, improved security and fully compatible with Microsoft Outlook, let us worry about the technical side of things while you manage your own business! Just go to the contact page and send us an email briefly describing what you’re looking for and we will take care of the rest.